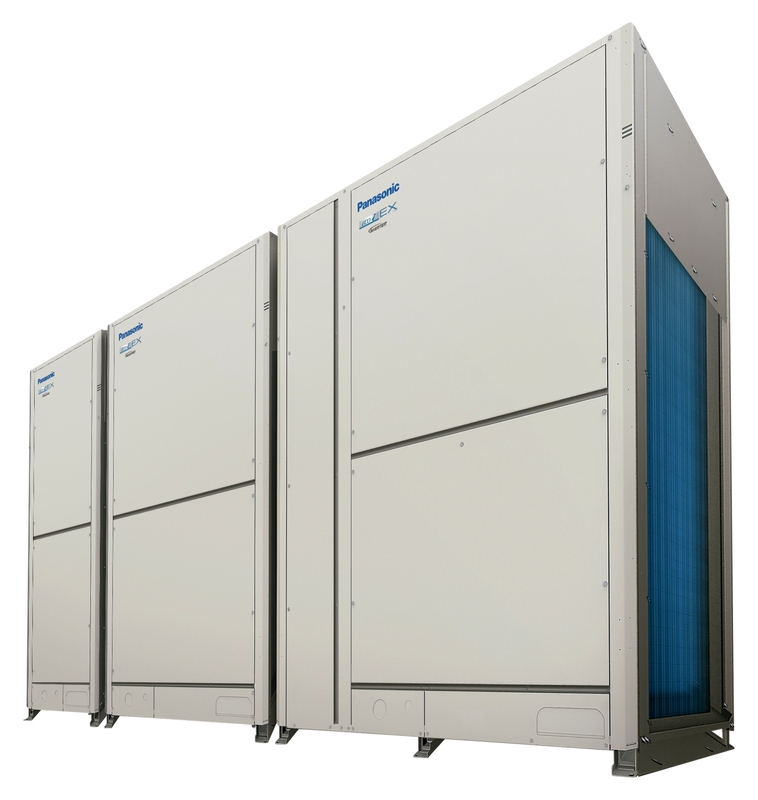 The Panasonic ECOi EX 7 Series ME2 VRF range includes three sizes of single outdoor units ranging from 8HP to 20HP. 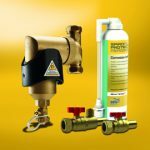 With a flexible combination design, installers are able to combine up to 80HP. The wide range of sizes enables Panasonic to provide a comprehensive heating and cooling solution for almost any application, from small scale commercial developments to large industrial facilities. The ECOi EX’s heat exchanger features three joined surfaces that increase the capacity and efficiency of the heat exchanger. The system’s efficiency also enables the outdoor units to achieve market-leading performance in more extreme climate conditions. The units can offer a high cooling capacity in temperatures of 43ºC, while at -25ºC the units can still produce significant heating capacity, providing consistent indoor temperatures. The extended piping length and design has helped increase the market applications available to the ECOi EX series. Indoor units can be positioned up to 200m from the outdoor unit. The indoor unit can now also be placed up to 50m below the outdoor unit. The total piping length from one outdoor unit can now be up to 1,000m, offering complete flexibility to installers faced with a challenging or large-scale installation. The piping length has increased significantly from previous models, enabling Panasonic to provide their market-leading heating and cooling solution to a much wider range of applications, including larger commercial buildings and distributed properties. This new range features a two-step Intelligent Oil Management System that drastically reduces oil recovery. Sensors are installed on each compressor to monitor the precise oil levels allowing an oil recovery of up to 90%. With regards to the indoor unit, Panasonic’s advanced ECONAVI sensor detects human presence and adjusts the unit’s output so that energy is not wasted heating or cooling the area when it is unoccupied. The Panasonic AC Smart Cloud allows businesses to centralise control of Panasonic heating and cooling installations – using a tablet, smart phone or computer – to manage and schedule heating and cooling activities across entire networks of commercial buildings at unit level. This level of control enables organisations to make further energy and operational saving, in addition to those generated by Panasonic’s ECONAVI sensors. Part of Panasonic’s core strategy is reducing the environmental impact of heating and cooling solutions. The ECOi EX series is leading the way with an exceptionally high EER value – even during part-load operation – as well as the highest COP and ESEER values on the market. With a strong environmental performance combined with increased installation flexibility, the Panasonic ECOi EX series provides a comprehensive and cost-saving heating and cooling solution that surpasses the competition.